Charles Hart, a retired lawyer, was installed last month as the new president of the Rotary Club of Haddonfield. He took over the position from Skip Bean and will serve a one-year term, which is customary for the community service organization. Hart has lived in the borough for 27 years and said he became a member of the Rotary Club about a decade ago. “I had a friend, a neighbor, who suggested it to me and told me it was the best service club of its kind in the area,” Hart said. At the time, he had recently relocated his practice from Philadelphia to Haddonfield and was looking for ways to get more involved in the community. The Haddonfield branch of the Rotary Club has nearly 100 members and is the largest chapter in South Jersey, according to the club’s website. Hart said the club is still in the early stages of event planning after last month’s reorganization meeting. The club will be hosting its annual bird seed sale fundraiser throughout September, he said. The organization’s major fundraising event will probably be held in the spring, Hart said. In the past, the group has sponsored raffles and golf outings, he added. He said funds raised by the Rotary Club support scholarships for local students, with an emphasis on those who attend Haddonfield Memorial High School. Members of the organization also plan to do a project beautifying the traffic circle near the Acme market and the “Welcome to Haddonfield” sign. “We’re looking at sort of dressing that up as a local project,” Hart said. Haddonfield’s Rotary Club will also be partnering with nearby branches to sponsor a dental clinic in Malawi, according to Hart. He said a member of the club who is a dentist will be travelling with an international team to train health-care workers in the country. Hart said that the club is seeking new members, adding that it is not affiliated with any political or religious groups. “It’s just a club of people who want to do good,” Hart said. 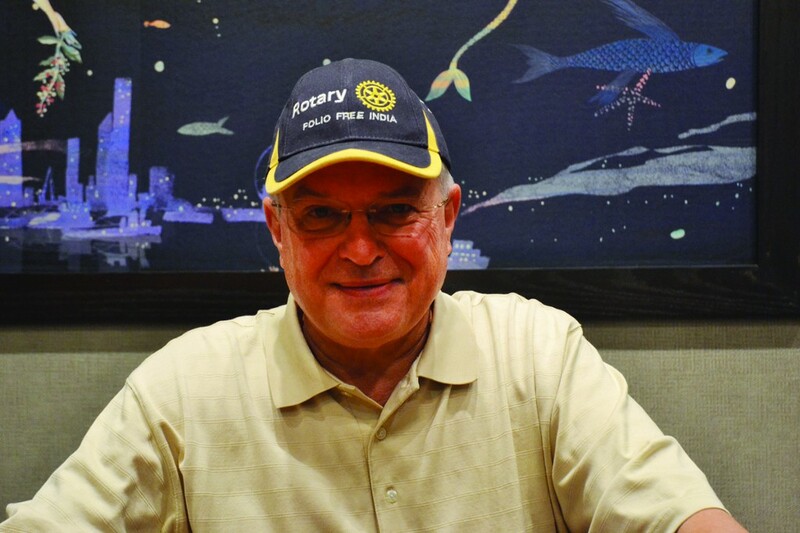 For more information on the Rotary Club of Haddonfield, visit haddonfieldrotary.org or call (856) 795–7976.